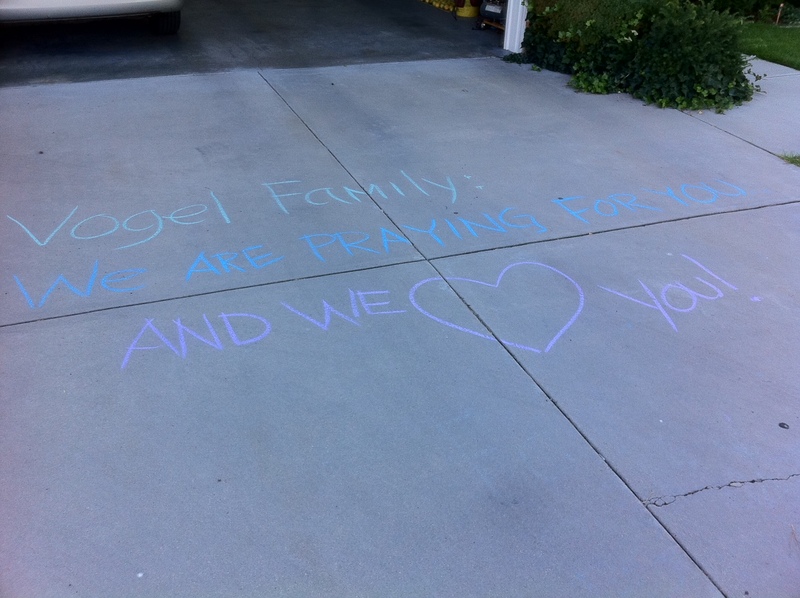 First of all we are so grateful for the love and support of family and friends. I came home from work on Tuesday to some very heart warming chalk art on our driveway. It made both JoLynne and I cry (that happens pretty easily these days) Every day my inbox is full of sweet messages of love and support from people who I love. That means more to me than I can express. We went to Huntsman cancer center today and met with a ENT oncologist. Two doctors re-read the CT scan of my head and both thought that the tumor was likely a chondrosarcoma. They told us that sarcomas are 1% of adult cancers and that chondrosarcomas are 5% of the total sacromas. Of the chondrosaromas, almost none occur in the head. More in black people and hispanics. (No, I don't dye my hair) Needless to say this is an unusual cancer. Frankly, I would be glad to be a little more common. The ENT oncologist seemed very confident. I kept wondering if he was looking at me as his next professional publication. I was un-impressed with their approach to reconstruction. The reconstructive team doesn't even come to the table during the initial treatment discussions. When I asked about reconstruction he said that they would remove the upper part of the right mandible and replace the bone with a muscle. They called it a soft tissue flap. When I talked to my oral surgeon friends they strongly discouraged me from this approach. They felt like it would lead to facial shrinkage and loss of most function and as Dr. McBee said, "it will look like a Big Mac stapled to your face" I think we will keep looking. I know that God is looking out for me and that when we find the right surgical team we will feel a sweet confirmation telling us what to do. We went to the temple last night with Shanelle, Mike and Jarom and I had a very sweet experience. I believe that I will make it through this. Just want to let you know that you and your family are in our thoughts and prayers! We love you! Do you want some "Mayo" on that?